Facebook Patents RSS-like Technology – Is That a Joke? First thing first, Facebook did not patent RSS but their news feed on their site!!! I have to admit, this is a quite neat feature and what would be the point of a social (networking) site if you did not know what your entourage were upto. So Facebook included a friends activity log (news stream) to make it easy for people to find out. Thats a good feature but it’s by no means an innovative technology. DZone, a developer social “networking” site provides a log about news that users have posted, commented on and rated. This is to show that there’s nothing innovative about that feature but a convenience. We know about RSS/ ATOM which are real news feed. RSS provides real-time (depending on how often you poll) updates; can that be classified as a site master activity update. It also includes links and media about the site or users generating the feeds. That’s a cool feature and we copied the idea and implemented in our site, now we are the biggest community site in the western hemisphere so we are telling not to use any RSS or derivated technology when building a community site (social networking). Let’s face it, I feel sorry for the smaller community sites but I do not think that patent will affect Twitter or Google but watch out MySpace. I did not even know you could patent someone else already patented technology. This is not a new way of doing something but more like patenting the environment where the technology is applied. To be very geeky about this, Facebook News Feed are just a bunch of SQL queries displaying latest records on a User Interface. I did not know you could even dare trying to patent that. To be frank, I am not sure that they could have patented that in Europe. I am looking forward to seeing how to will now exercise their new POWER. What would happen to Ning, BuddyPress and Elg, those are software and platform used to create social site but what about Youtube and UStream. 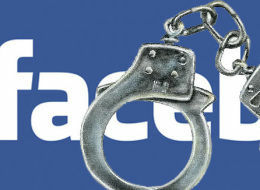 Anyway site operating within the US and implementing the patent features of Facebook will have to pay them. But outside the US territoty, those company would be free to operate. How to you control access to the Internet without censoring like China and Iran? Anyway, this is just my opinion but you are welcomed to share yours with the rest of us. For now, why not read about RSS here and see exatly what I am talking about. It is in issue of detail a pleasant and useful part of info. I’m joyous that you easily shared this cooperative data with us. delight hold us up to date like this. express gratitude you for sharing.